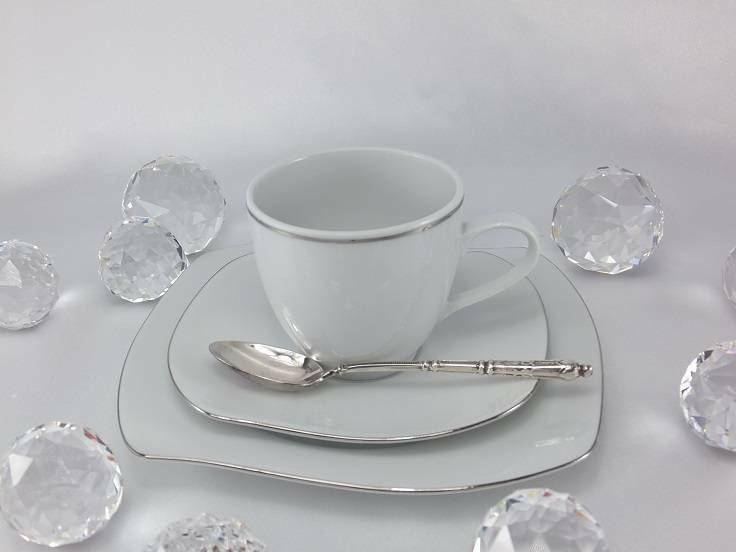 Marie - Christine - porcelain line with platinum rim. Marie - Christine in white / platinum a sublime and elegant porcelain collection with hand-painted platinum edge, which fits particularly well to festive occasions and spectacular moments of your life and combined with graceful decoration and finest table linen combined for an impressive ambience. Discover the refined modern waveform. The elegant design gives you the unfamiliar impression of a good taste ... on both the private and the business level. This porcelain series is made to order with about 8 weeks waiting time, because it is about the real manual work - the platinum edge is applied manually. The glaze is also applied manually.